Download a FREE, full-color PDF copy of the guide. Order a FREE copy through the Virginia Native Plant Society. There is shipping charge of $3.25. Pick-up a FREE copy - link here to a list of locations. 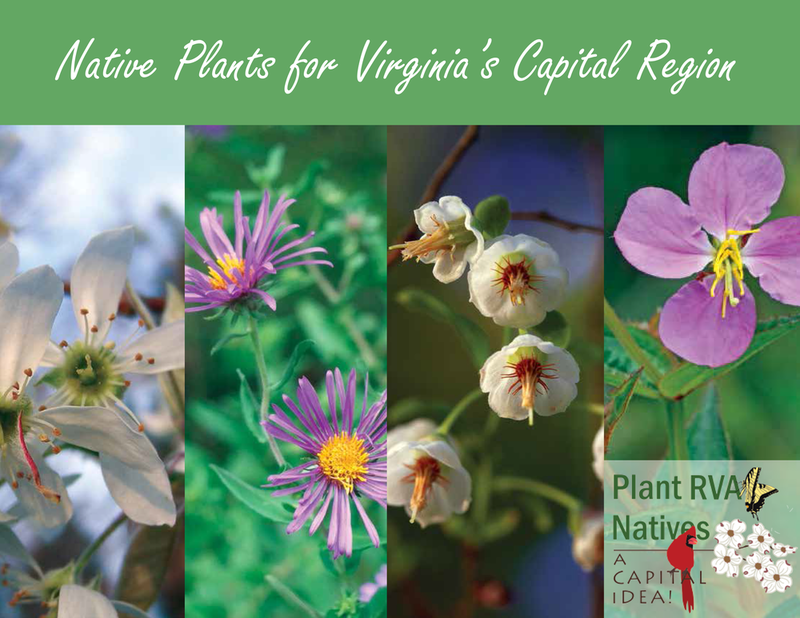 As a first step in a new regional native plant marketing campaign, Plant RVA Natives, partners have published a FREE regional guide - Native Plants for Virginia’s Capital Region. This guide showcases the attractive variety of plants native to the Virginia Capital Region, which includes Henrico, Hanover, City of Richmond, Chesterfield, Charles City, New Kent, Powhatan, Goochland, Cumberland, and Amelia. Native plant species have evolved within specific areas and been dispersed throughout their range without known human involvement. These plants form the primary structure of the living landscape and provide food and shelter for native animal species. Although this guide is not comprehensive, the native plants featured here were selected because they are attractive, relatively easy for the home gardener to acquire, easy to maintain, and offer various benefits to wildlife and the environment. The guide which will be followed by additional marketing strategy materials.